George Gately was born to be a cartoonist. “I knew I wanted to be a cartoonist the first time I picked up a pencil”, he once said. Mr. Gately, a New Jersey native, started out in advertising, yet soon grew restless and began searching for greater artistic freedom. His comic instincts led him to gag humor. His first big success came with the well-received “Hapless Harry” comic strip. 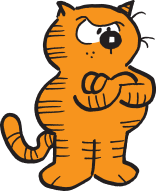 After developing other comic strips including “The Hintleys”, “Hippy” and “Auntie”, Mr. Gately created his most memorable character, “Heathcliff”. This chubby, orange cat became an international sensation, attracting a devoted fan base along the way. The slick feline has gone on to star in more than fifty books, eighty television shows, and a full-length motion picture. John Gallagher developed a penchant for drawing as a child. He parlayed his talents into an award-winning career as a gag cartoonist. His work appeared in the Saturday Evening Post, Sport, Parade, Collier’s and many other magazines. 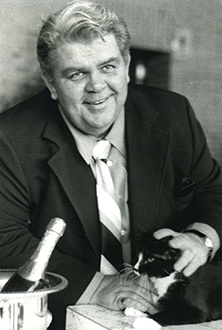 Becoming an industry giant during the golden age of magazines, from the 1950’s to the 1970’s, Mr. Gallagher won numerous awards including “Best Gag Cartoonist” by the National Cartoonist Society. He later as assisted his brother, George Gately, with the comic strip “Heathcliff”, doing much of the writing a and shaping the character of the cantankerous kitty. Peter Gallagher was born into a cartooning family. 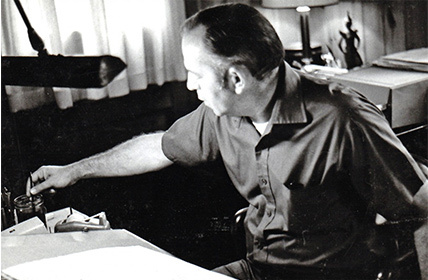 His uncles, George Gately and John Gallagher, noticed his early love of drawing. He later followed them into a career as a cartoonist. 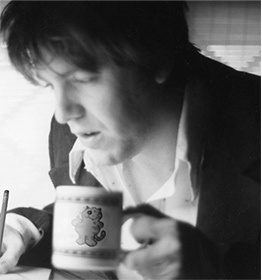 A proud, lifelong New Jersey resident, Mr. Gallagher took over writing and drawing the “Heathcliff” comic strip in 1998, after apprenticing under his uncles for 5 years. While staying true to the spirit of the tenacious tubby tabby, Mr. Gallagher has brought a fresh new spirit to this classic cat. Mr. Gallagher studied art at Montclair State University in New Jersey, where he now teaches. His is also the creator of the “Jersey Tomato” comic strip in Weird NJ magazine. He currently resides in northern New Jersey with his wife, Armine and son, Luke. Heathcliff® the Cat and Characters TM & ©2019 Heathcliff Enterprises, Inc. All rights reserved.